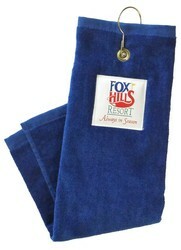 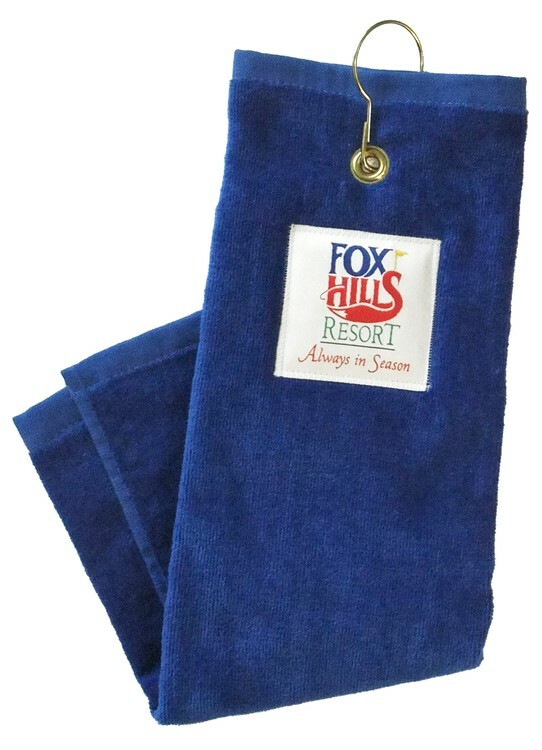 Towel: 15" x 18" plush velour golf towel, tri-folded with hook & grommet. 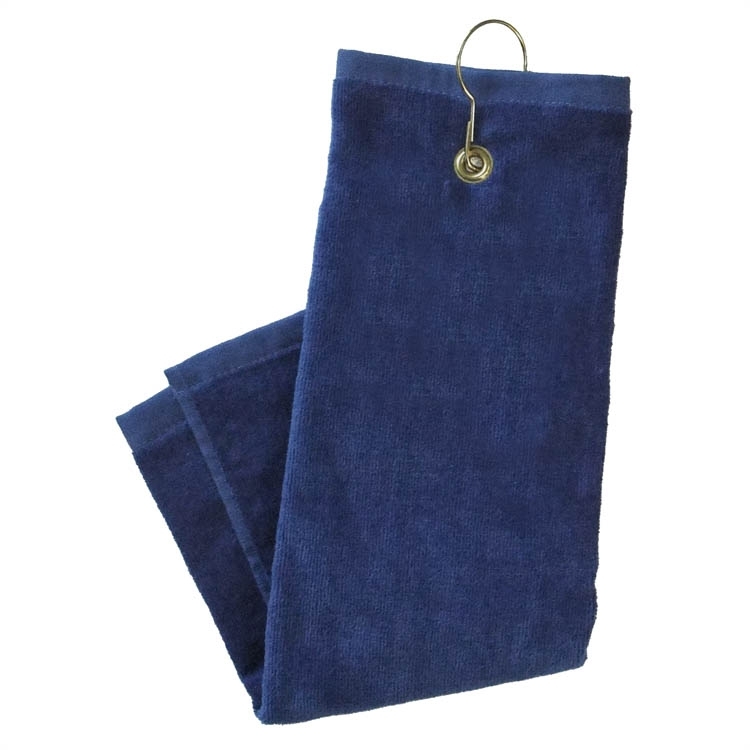 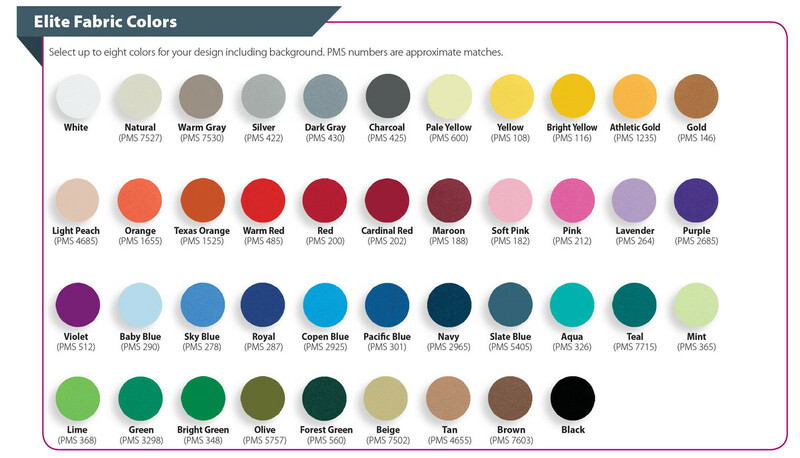 100% cotton terry fabric. 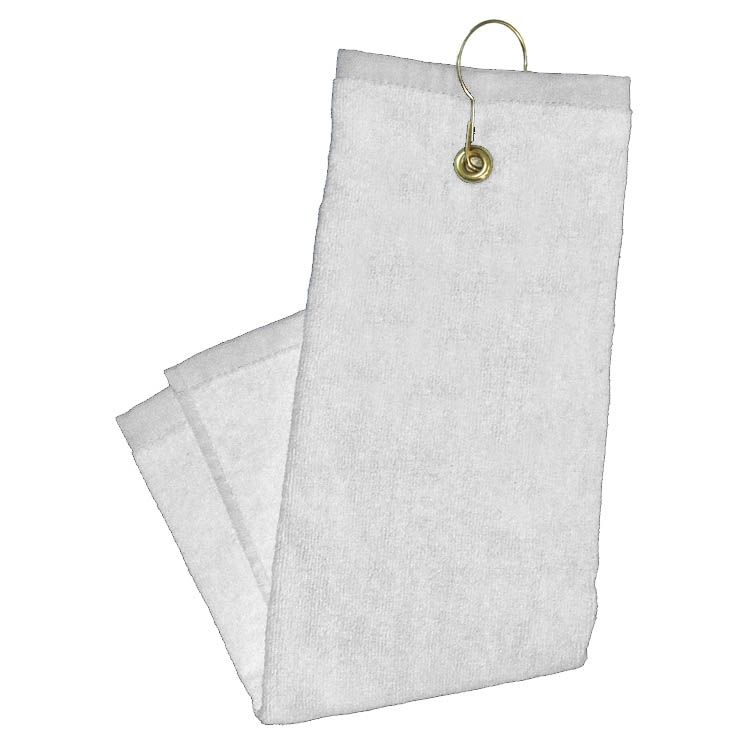 Label: Elite label is 2.5" square and is sewn underneath hook & grommet.